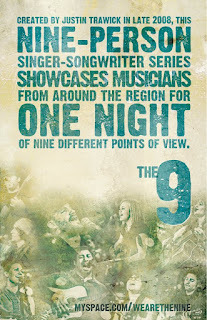 South Block isn't just for smoothies and breakfast burritos. Now the tech-savy little smoothie and coffee shop on 11th Street is featuring remedies for a late Saturday night out. 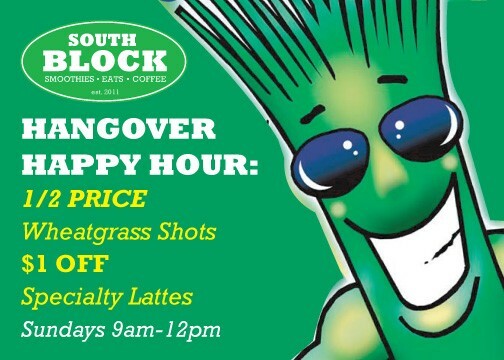 Every Sunday from 9am-12pm enjoy drink specials designed to help your hangover such as wheatgrass shots that are half price. 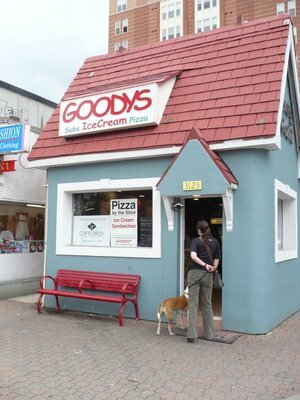 It's been seven years since the small and colorful Goodys pizza and ice cream shop became a late night staple for Clarendon nightlife. Providing large slices for those starving after the 1:30am last call at most local bars, Goodys food menu (ice cream, subs and pizza) seemed to always taste better late at night. 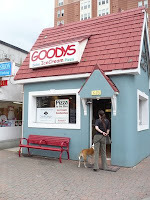 Tomorrow, August 18, Goodys is celebrating their anniversary with a pizza eating contest. Drop by from 2 to 5pm Sunday to participate or just fight off the summer heat with some ice cream. 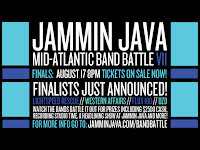 Tickets are $13 and doors open at 7pm. 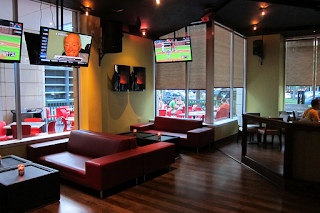 A-Town opened last Friday in Ballston, replacing Caribbean Breeze and updating its interior. The new space is much more modern and open with plenty of floorspace and ample outdoor seating and an outside bar. I missed their grand opening, but dropped by tonight for their 6-8pm happy hour specials. Despite its controversial name, I liked the atmosphere and look forward to visiting on the weekend when it is more crowded. Tonight Mad Rose hosts its weekly Tuesday karaoke night. 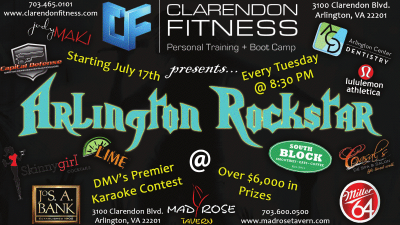 With only a few more weeks left in this event series, sponsor and Mad Rose's neighbor Clarendon Fitness is bush awarding over $6,000 in prizes to talented singers. 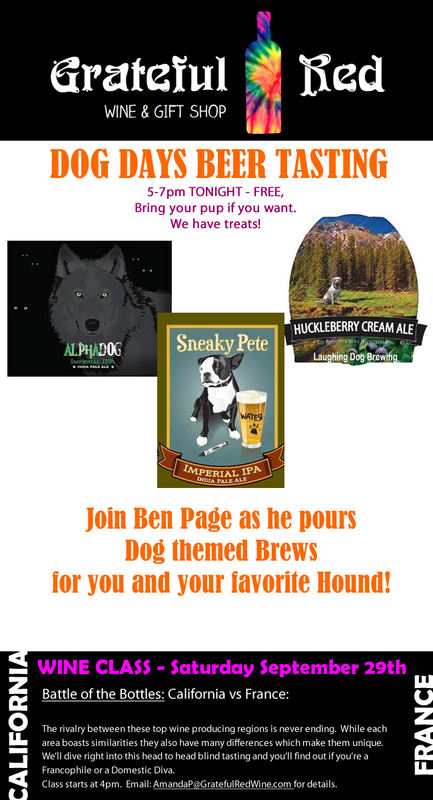 Don't miss the free beer tasting tonight at the new Grateful Red wine shop, which is themed the "Dog Days Beer Tasting". From 5 to 7pm you can stop by the rear of this dog friendly store and try several IPA and a cream ale.